Note: The photographs and other material on this page were gathered before the redevelopment of Bokor Mountain. I haven't seen any recent pictures to know how things have changed. 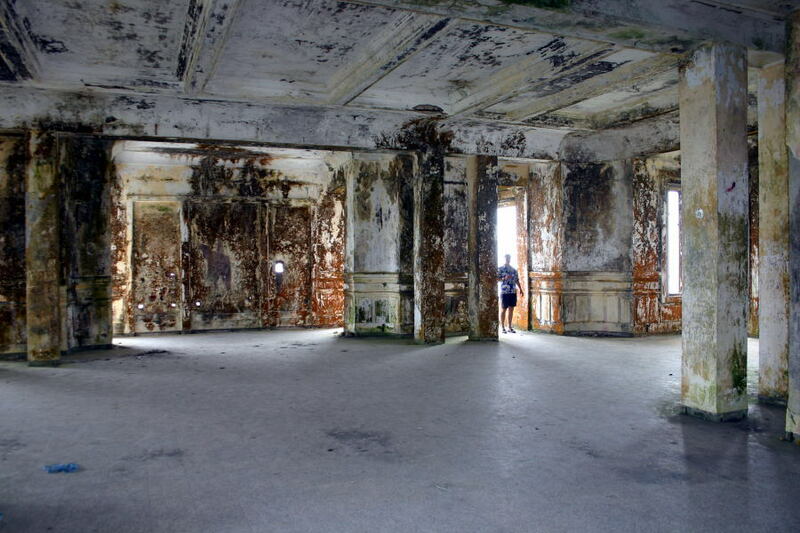 Bokor's main sight is the ruins of the hill station built by the French in the 1920s to provide them a cool place to escape the heat of the plains around Phnom Penh. The station was a small city onto itself, with Catholic church, post office jail, and other public buildings, but the center-piece was the Bokor Palace Hotel and Casino. The skeleton of the old grand hotel sits at the highest point of the station, right on the edge of the cliff. Most of the structure was concrete, so it remains relatively sound, but all of the furniture, fixtures, windows, and even wiring was looted long ago. Wandering the dirty, deserted rooms, you can imagine what the hotel must have been like in its heyday. 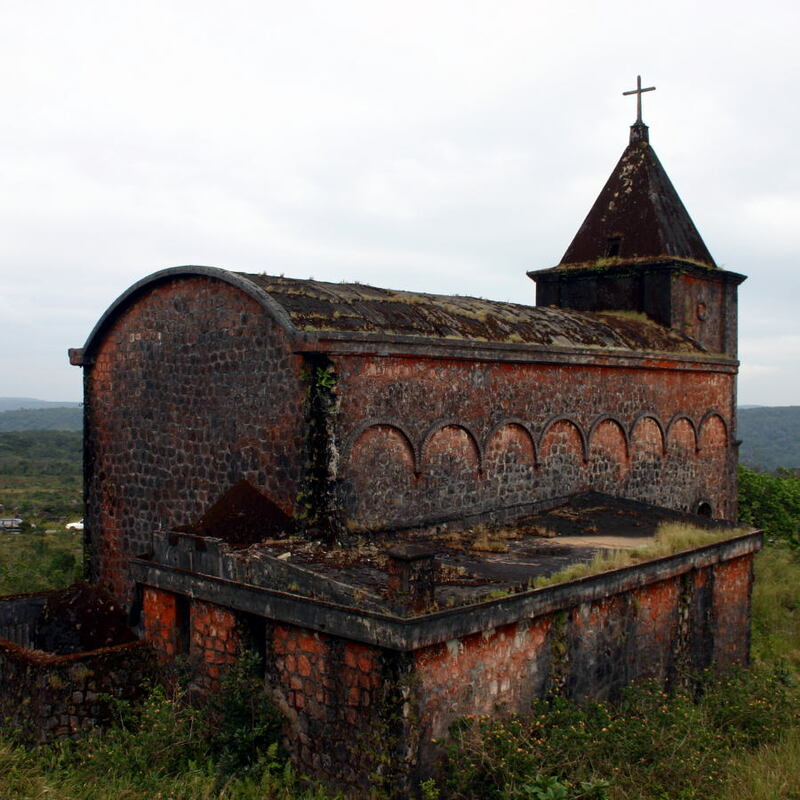 The church is a little less of a ruin, but only because it was a more substantial structure to begin with. It makes another good place to stop, with its position on a hill near one end of the village. The interior of the church is really quite simple, and appears to have never been elaborately decorated. On a hill behind the church are the remains of the priest's house. The small building was leveled down to its tile floor to make room for a Vietnamese radar installation in the days when the Khmer Rouge were on the run and hiding out in the area. The place does make an excellent spot to gain an overview of the remains of the town.